Early in her life, Julie Ellis, PhD, recognized the plight of many wild animals—that they are often helpless victims of human actions—and was committed to do something to help. As a young child she enjoyed watching Jacques Cousteau and National Geographic, and was particularly enamored by marine life. Growing up in landlocked northern Texas and later in Missouri, she, at times, felt her dream to become a marine biologist may have been a reach. However, the connections Dr. Ellis made along the way created opportunities to pursue her dream. Today, at Cummings School, she has found her niche protecting marine life and has recently expanded her efforts to conserve other wildlife. 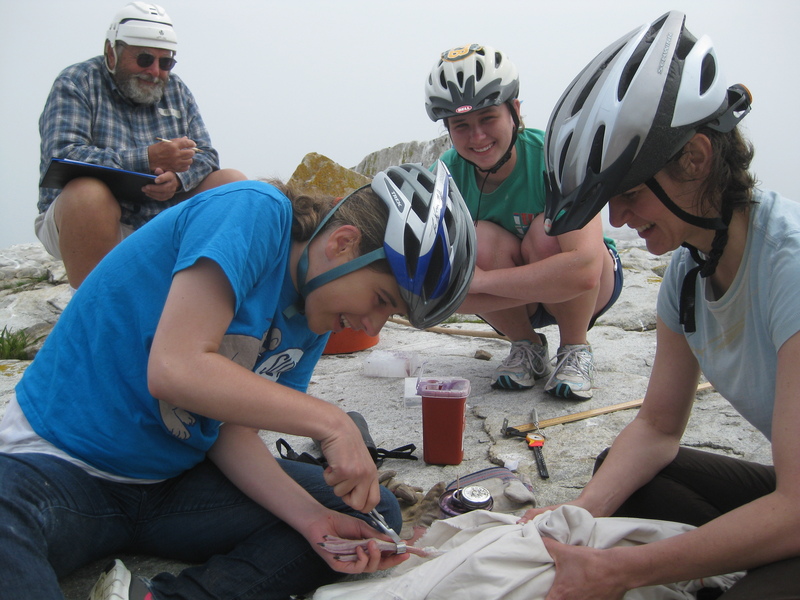 Dr. Ellis spent two summers researching gull ecology in Washington state. It was her professors at the University of Kansas who motivated Dr. Ellis to immerse herself in the field of marine biology. Although she was miles from the ocean in Kansas, with inspiration from her faculty advisor, she instead studied stream invertebrates. After graduating with an undergraduate degree in biology, establishing a network of connections in marine biology became her priority. 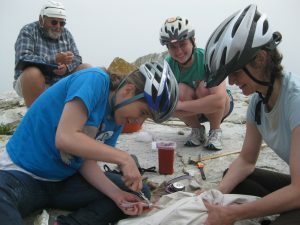 Two summers spent researching gull ecology in Washington state allowed Dr. Ellis to further explore her interest in marine life and to establish professional connections. She also took an underwater research class at Shoals Marine Laboratory in Maine, which fueled her interest in life under water. After completing her master’s degree in systematics and ecology at the University of Kansas, Dr. Ellis was hired as a research technician in North Carolina to study coastal ecology with a focus on the effects of wild horses on marshes. She confirmed her true passion for seabirds, however, when she started working for New Hampshire Audubon Society on the Isles of Shoals. 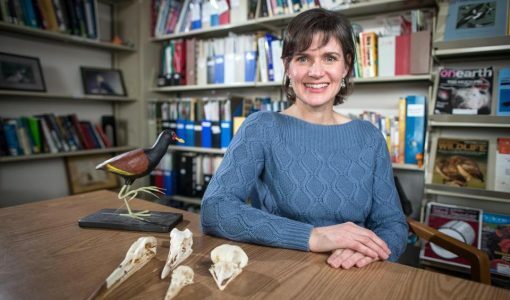 As a tern biologist, Dr. Ellis witnessed firsthand how the loss of their nesting habitat and an increase in predators were threatening the species, and she set her goal to help restore the population. Dr. Ellis worked on a project with Shoals Marine Laboratory banding herring gulls and great black-backed gulls to understand the interactions between the two species, as well as their dispersal patterns, foraging ecology, and population trends in the Gulf of Maine. 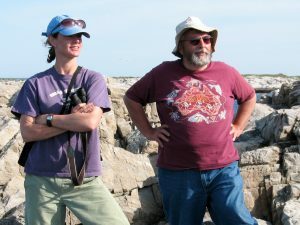 In 2004, while completing her doctoral studies in ecology and evolutionary biology at Brown University, Dr. Ellis began banding herring gulls and great black-backed gulls at the Shoals Lab, a unique program that has developed into one of the longest running of its kind in the United States. This research relies on birders, beachgoers, and casual observers to report banded birds. By banding gulls, Dr. Ellis hoped to understand the interactions between the two species, as well as their dispersal patterns, foraging ecology, and population trends in the Gulf of Maine. 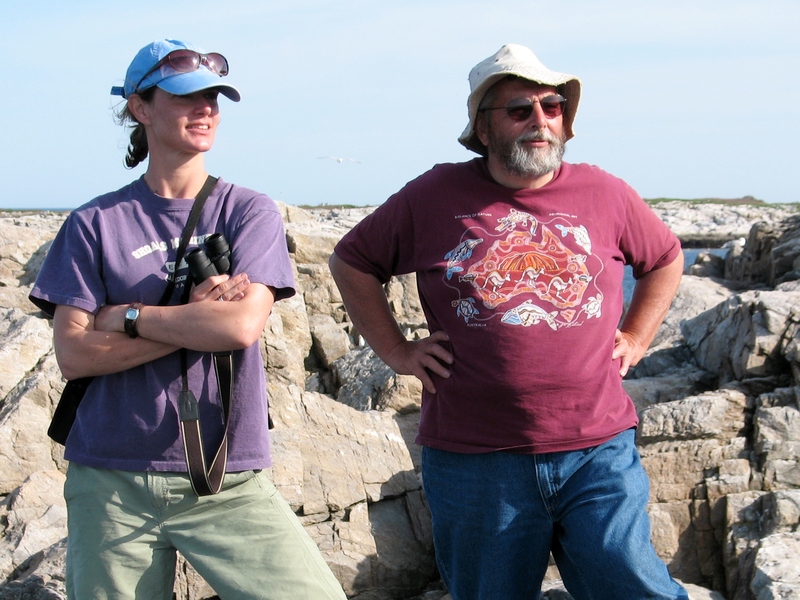 Dr. Ellis joined Cummings School in 2006 to manage the Seabird Ecological Assessment Network (SEANET), a citizen science program that brings together researchers and the public to identify and mitigate threats to marine birds. Upon investigating a die-off of common eiders (a type of sea duck) on Cape Cod, her efforts led to a collaborative project across 24 different organizations, which contributed to the remarkable discovery of a novel virus that affects these ducks. The eider investigation inspired the need for a better system of collaboration, similar to SEANET, to be applied to wildlife diseases in the region. 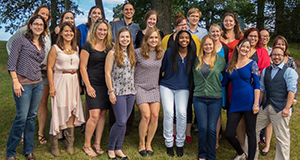 In 2010, Dr. Ellis and Cummings School graduate Sarah Courchesne, DVM, created a regional initiative called the Northeast Wildlife Disease Cooperative (NWDC), a network of veterinary laboratories that provides diagnostics, education, and research support to its members. Administered by Cummings School, NWDC now includes eight state fish and wildlife agencies as well as the U.S. 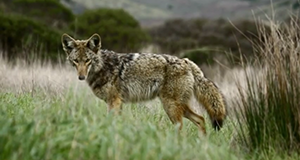 Fish and Wildlife Service and is expected to expand. Along with her efforts with NWDC, Dr. Ellis also serves as a research assistant professor at Cummings School. She mentors students in the Master of Science in Conservation Medicine (MCM) program, co-directs the Health, Disease and the Environment course, and provides opportunities for students to get involved in wildlife studies—both through NWDC and a new wildlife tissue biobank project that is being conducted by Dr. Ellis and her colleagues within the Tufts Wildlife Clinic. She takes pride in opening doors for her own students much like those opened for her by the professors and colleagues who helped shape her educational and professional career path. Dr. Ellis has found success by building partnerships and is a strong proponent of the value of working together without fear of competition. The success of SEANET is a prime example of the benefits of collaboration between veterinarians, veterinary pathologists, and wildlife managers. Dr. Ellis is excited to apply these same principles to the NWDC initiative for the benefit of humans and animals alike.